21 day matured British t-bone steak - a real man sized meal! Our beautiful beef is all matured for 21 days for taste and tenderness. These t-bone steaks, cut so you have the fillet and the sirloin on the bone, are true barbecue luxury - a real man sized feast! 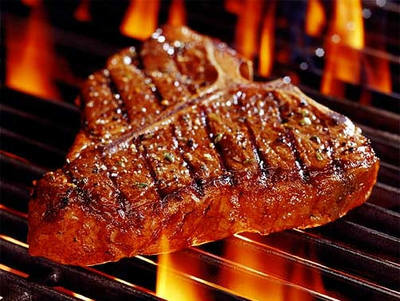 Each t-bone weighs a minimum of 450g but are often larger.